“For the last one month, Tejas has been suffering a lot. Every other day he complains of severe stomach pain and he is unable to eat anything. It is heart-wrenching to see my little son going through so much but he is a little warrior. Every morning when he gets up in the hospital bed, looks at me and smiles. With his eyes full of hope and voice full of excitement, Tejas tells me, ‘Mumma, don’t worry, all this pain will go away soon and I will be back at home playing with my little sister and Ajji (grandmother).’ He doesn’t know that he needs a surgery in five days and that his poor parents can’t afford that. I pray to God everyday so that I can get him treated and take him back home safe and sound,” - Padma,mother. 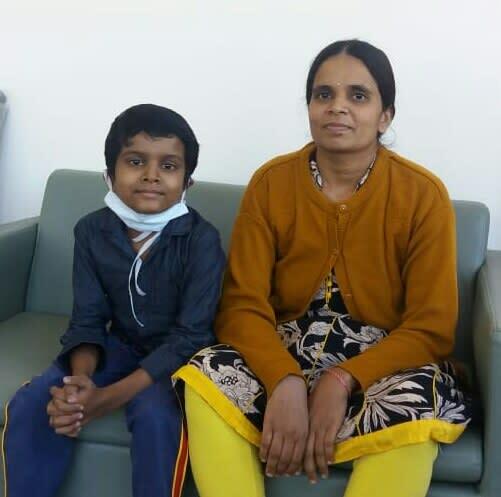 7-year-old Tejas has been diagnosed with acute on chronic liver failure (ACLF). In this condition,the patient experiences an acute deterioration in a chronic liver disease which poses a threat to several other organs as well. Tejas has high temperature and he can’t eat anything - he throws up whatever he eats. 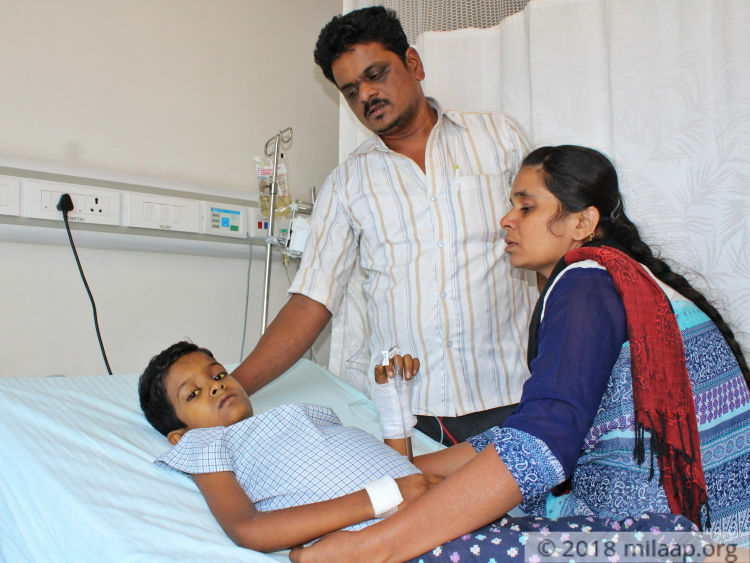 The doctors have told Padma and her husband, Ashok that the only way their son to live is through an urgent liver transplant in a matter of five days. Tejas was enjoying a happy childhood when this disease chose to raise its ugly head. He was regular at school and used to ace at his studies. He was learning English and the first thing he did after coming back from school was to teach his Ajji simple words in English. Since his birth, he was brought up by his grandmother as his parents had gone to a nearby village in search of better job opportunities. He has always been very close to her. Padma and Ashok, however, came back to their village after they lost their elder son three years back. Their loss has always haunted the couple but with Tejas and his younger sister, they were trying their best to be happy. Amidst all this, Tejas got very sick and was hospitalised. 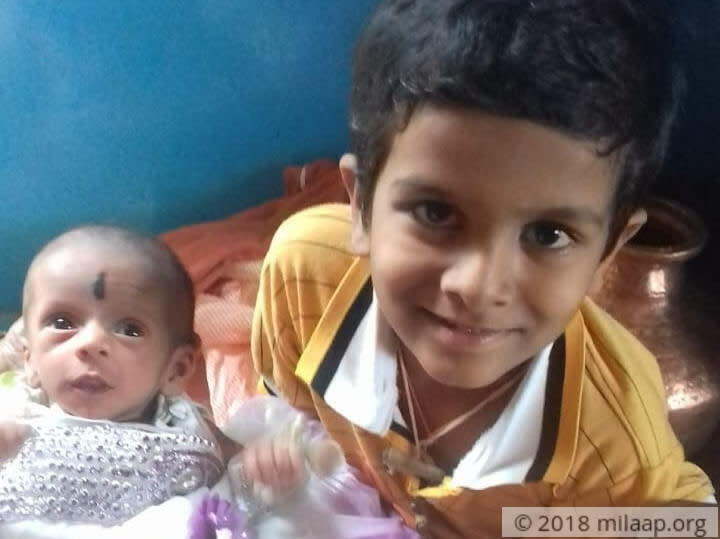 Little Tejas misses home, his grandmother and playing with his sister. He wants to go back but his disease won’t let him. Ashok and Padma were tailors in their village in Tumkur district. 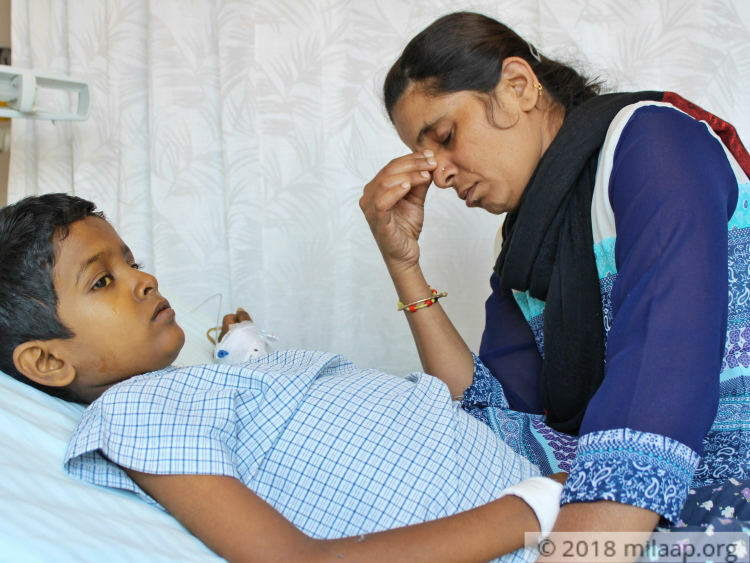 But after their daughter was born, Padma stopped working as she was the one taking care of the little one. Ashok earns a meager income of Rs 200-250 per day. 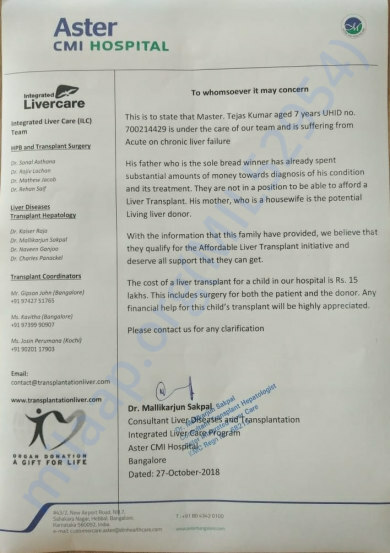 He is the sole breadwinner and his salary is not enough to meet the daily needs of his family, leave alone getting his son a liver transplant. 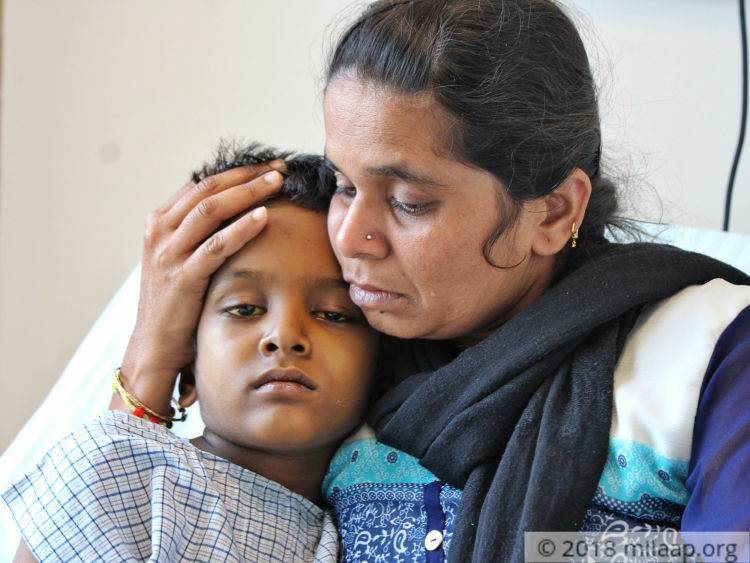 Padma is the donor for her son but the family is unable to arrange for the Rs 15 lakhs that is needed for the transplant. They have already spent Rs 2 lakhs borrowing from friends and near relatives and are in no condition to get more funds without help. 7-year-old Tejas is suffering from a severe liver disease and needs and urgent liver transplant in a five days. 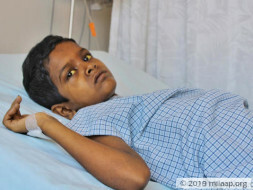 The liver transplant is the only way Tejas will be able to live but his poor parents are incapable to arrange for the money for the transplant.Your generous contribution can save Tejas’s life. Master Tejas is doing well. He got discharged from the hospital. Tejas and his mother both are doing well. They are advised to come for regular check ups. 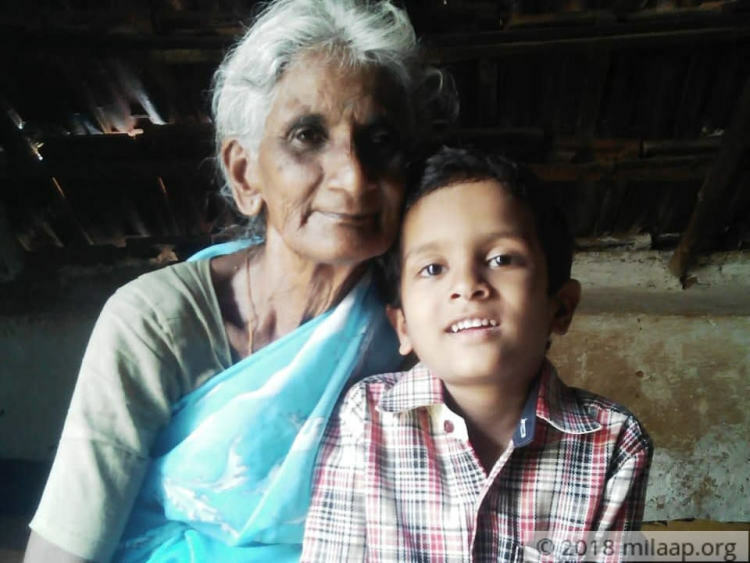 Here is the recent photo of Tejas and his mother. Here's an recent photo of Tejas Kumar post Transplant. Here's an quick update on Tejas. 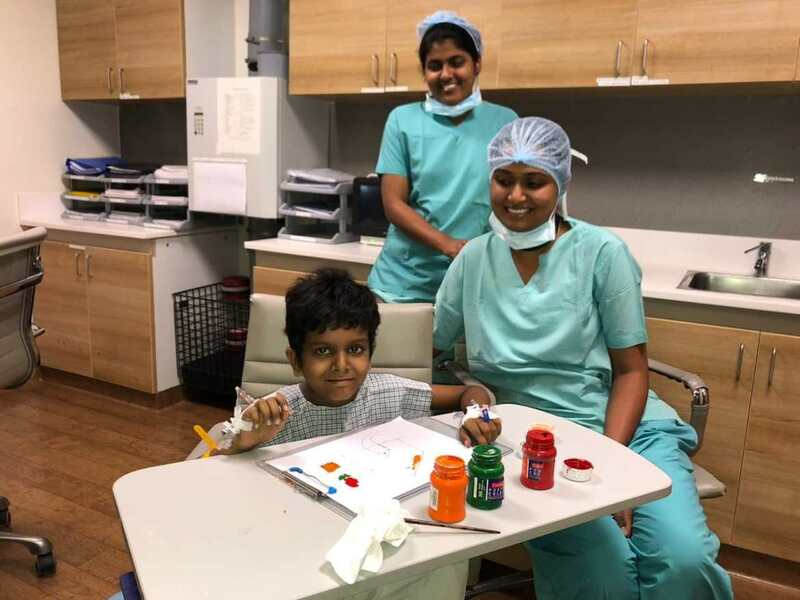 Tejas successfully underwent his transplant and is recovering in the ICU. He is responding well to the treatment. We shall keep you posted.